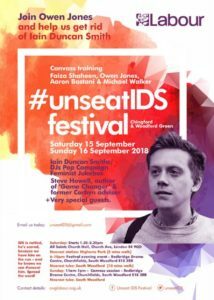 From Faiza Shaheen, Labour candidate for MP in Chingford & Woodford Green: Please come join us for the Unseat IDS weekend with Owen Jones and special guests on Sat 15 & Sun 16 September. We’d value any time you can give us, and don’t worry if you’ve never done door-knocking for Labour before… there will be a training session and lots of old timers to advise! Let’s make this huge!!! Under the UK’s unfair and illogical First Past the Post system, it’s basically all about the marginal seats – those constituencies with Tory MPs who are at risk of losing. If you’d like to volunteer to help get the Tories out, your help will have most impact if you can go to one of the marginal constituencies on this list. 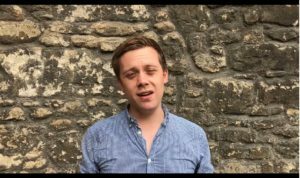 By Owen Jones for Uxbridge & South Ruislip Labour Party on CrowdPAC: Boris Johnson is one of the most cynical and damaging people in politics — and one of the frontrunners for the Tory leadership. But Johnson’s majority was more than halved this election — with a massive local campaign powered by your donations, we can beat him next time! The case to unseat Boris Johnson is overwhelming – and together we can make it happen. Even before his performance in the referendum, Johnson had been sacked twice for lying (by both his newspaper editor and his party leader). He once called black people “piccaninnies” with “watermelon smiles”. 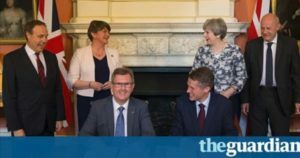 Johnson, who opportunistically backed Brexit because he hoped it would put him in Downing Street. Johnson, who after the election had a radio interview so calamitous that if he was – say – a black woman, his career would be over. Johnson, the Foreign Secretary who regularly reduces this great country to an international laughing stock. This year we cut Boris Johnson’s majority by more than half without a big campaign — it’s down to only 5,034 votes. If we can persuade just 2517 people, we can beat him. And a general election could be called at any point. We have to campaign now if we want to make sure he’s defeated. 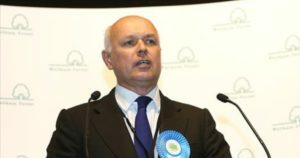 By Owen Jones for Chingford & Woodford Green Labour Party on CrowdPAC: Iain Duncan Smith is the architect of some of the Tories’ cruellest policies. He helped design cuts which devastated the lives of disabled people. Humiliating and distressing work capability assessments. The bedroom tax. Attacks on the low-paid. In 2015, IDS had a majority of over 8,300. It’s now less than 2,500. With a big push, Iain Duncan Smith will lose his seat. 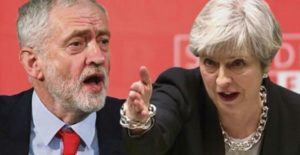 Chingford and Woodford Green: LABOUR GAIN – imagine those words flashing up on your TV screen. And it will be down to you. A general election could happen at any moment. It could be this year. Jeremy Corbyn has asked us to be on a permanent general election footing. We can only defeat Iain Duncan Smith if we get out there and campaign now. 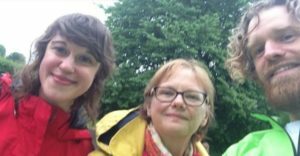 #Unseat Sexist Bigot Philip Davies – Crowdfund the campaign! 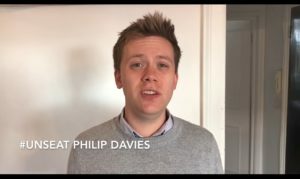 By Owen Jones on CrowdPAC for Shipley Labour Party: Tory MP Philip Davies is a sexist bigot and a national disgrace. He has repeatedly used his position to undermine legislation tackling domestic and sexual violence against women. He’s demanded the very word “women” is stripped from the women and and equalities committee. In 2016, he spoke at a conference launched by the Justice for Men and Boys party, which publishes disgusting online articles like ’13 reasons women lie about being raped’. He consistently voted against equal rights for LGBT people, including equal marriage. As you’d expect, he’s also consistently voted for legislation that has caused huge human misery, like the bedroom tax, slashing in-work benefits for the working poor, and lower benefits for disabled people. This man is not fit to be an MP. In 2015, his majority was 9,642. This year, it more than halved to 4,681. We can defeat Davies. Labour has an inspiring vision – of investment not cuts, of tax justice, of ending tuition fees, a genuine living wage, and public ownership. We also have a grassroots army. 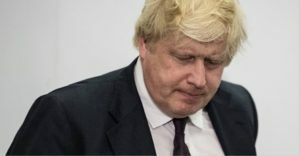 From The Independent: Hundreds of people are planning to attend an event campaigning for Boris Johnson to be unseated from his west London constituency. 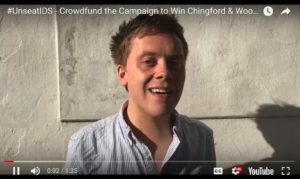 The event, which was set up by campaigner and columnist Owen Jones, is set to take place in the Foreign Secretary’s Uxbridge & South Ruislip seat. According to a letter, believed to be from the local Tory association, the MP is preparing himself for a fight from the “hordes of Momentum”. Not a party person? Want to do something to help beat the Tories? Your £3 sponsorship of your chosen post directly reaches the news feeds of 400-700 Facebook users, targeted to marginal seats. It bursts the “bubble”, reaching people who DON’T usually see anti-Tory or social justice posts. Or see the full gallery. Run a campaign phone bank from your home! From Campaign Together: Lindsay and her friends run a #StopTheTories phone bank from the comfort of Lindsay’s home! From BBC News: More than two million people have applied to register to vote in the month since Theresa May announced plans for a snap general election on 8 June. The highest number of applications so far was on 18 April, the day the prime minister made her announcement, when just over 150,000 people applied. The number of young people registering is the highest of any age group. The deadline to register online through the official website is 23.59 BST on Monday 22 May. The latest official figures published in March, before the election was called, showed that 45.7 million people were registered to vote in a general election as of 1 December 2016. 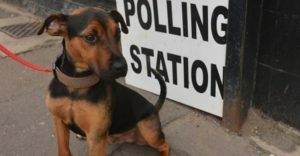 The Electoral Commission have warned that approximately seven million people across Britain who are eligible to vote are not registered, including 30% of under 34s while only 28% of home movers in the past year have registered. 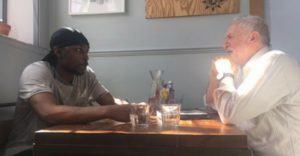 From Daily Mirror: Grime artist Jamie Adenuga, known as Jme, took time out from promoting his new album to have a sit down chat with Jeremy Corbyn, speaking about why so few people actually vote. He has made a point of emphasising the importance of registering to vote ahead of next Monday’s deadline. We need to vote for each other in some areas of the UK, to stop the Tory candidates from winning. 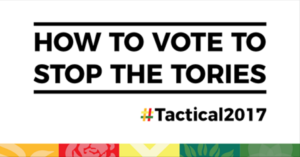 If you’re not sure how you can make sure your vote counts in getting the Tories out in the General Election, you can use this super-handy guide. It takes less than 10 seconds from the moment you click! Can you chip in £3 today and help us reach another 600 young people’s news feeds? We’re using Facebook advertising to reach the people who DON’T normally see anti-Tory posts on their Facebook! This is a crowdfunder to sponsor this #RegisterToVote post onto the Facebook news feeds of as many extra young people (aged 18-25) as possible. People who DON’T normally see politics on their Facebook!